When it’s time for you to travel the path to homeownership, the best thing you can do is learn what you can about the process so you know what to expect along the way. 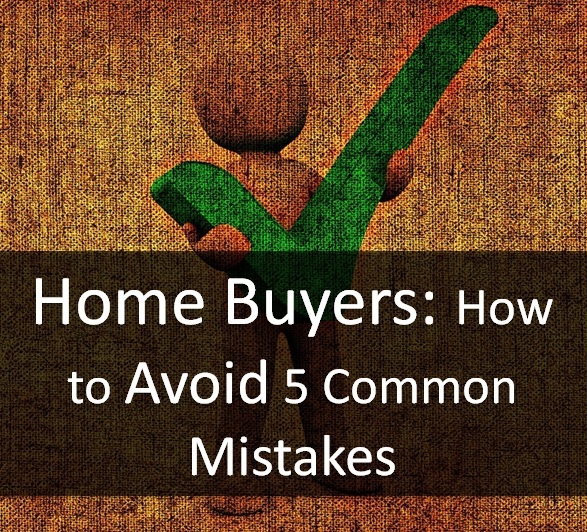 In today’s blog post I’ll talk about the top five mistakes home buyers make and how to avoid them. Not knowing what your credit score is and how to improve your credit score is a huge mistake home buyers make. Read this information about how your credit score determines your mortgage rate. A pre-approval should be the first thing on your list as a home buyer. Not only will a pre-approval show home sellers that you are a serious buyer, you will know how much house you can actually afford. Here are the common documents needed when applying for a pre-approval. A buyer’s agent represents you, the buyer, NOT the seller. This is in your best interest because they are working solely for you, so there won’t be a conflict of interest. Not all mortgages are created equally! Even a difference of a half percent can cost you thousands more over the life of the loan. You can learn more about how to avoid overpaying for a mortgage in this article by Bill Gassett, a top Realtor in MA. One of the most common mistakes home buyers make is foregoing the home inspection. You need the inspection to uncover hidden defects that a professional is trained to look for. Bonus Tips: Be sure to know how different HOA fees can affect your loan when buying a home and if you’re going to purchase a short sale, be sure to know how the short sale process is different than purchasing the traditional way.